Fashion has a funny way of repeating itself, doesn’t it? Who would have thought that long beards, vintage clothes and vinyl records would resurge in popularity because of the hipster movement? Skinny suits and shirts with microscopic collars, ‘drainpipe’ trousers and slicked back hair were so 1981 but now, with a couple of minor tweaks, you could get away with looking like that again, should you so desire. And while the kipper ties, huge lapels and flared pants your dad was wearing in the mid-1970s have, mercifully, never become trendy again, never say never. It could still happen. And it’s exactly the same with car designs. Look at 1960s sports cars and there’s likely curvature to their lines, bulbousness to their flanks and charming simplicity with wire-spoked wheels. As that decade morphed into the next, curves and femininity gave way to angles, sharp creases and outrageous proportions – think early Lamborghini Countach and Lotus Esprit, two of the wedgiest wedges ever to make it into production. Then the 1980s brought big spoilers, extended arches and black rubber addenda that made everything beefy. Porsche 930, later Countach, DeTomaso Pantera – all cars that ended up getting the wide-boy treatment for a decade that came to define utter excess. Ferrari’s designs remained resolutely unsullied throughout these times, its chosen stylist Pininfarina creating some of the most glamorous and drop-dead gorgeous shapes in motoring history. And then, like a sledgehammer square between the eyes, at the 1984 Paris Motor Show the covers were whipped off the Testarossa – surely the most 80s supercar there ever was. And, like so many things of that era, it’s enjoying something of a second wind after being left unloved for too many years. 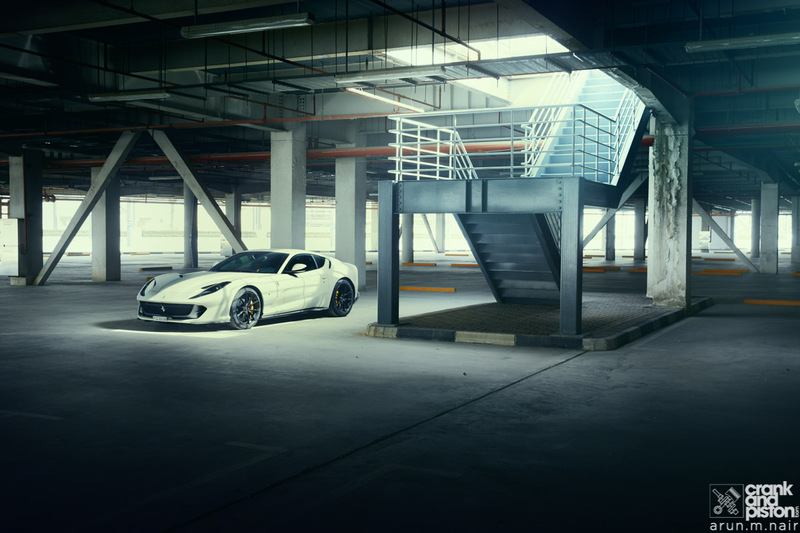 A poster car for a generation, its impact on popular culture cannot be overstated and we can trace the lineage of Ferrari’s front-engined V12 GT cars right back to it, the most impressive of which is right here on these pages, the new 812 Superfast. They both represent the pinnacle of Ferrari’s series production cars in their respective eras and they’re here together, not for a showdown or a ‘which one is best’ comparison, but rather a celebration of 12-cylinder Maranello magic. And, well, any excuse. As the most extreme series production Ferrari yet (no, we don’t classify the Enzo or LaFerrari as such), the 812 Superfast is the replacement for the F12berlinetta, itself no shrinking violet, served with a sprinkling of Tdf – the limited edition, track-focussed F12. I challenge anyone who’s ever driven a standard F12 in anger to accuse it of lacking excitement or scare-yourself-stupid performance credentials – it’s a stunning machine with multiple personality disorder and a propensity to fishtail its way down any road, in any gear, even with all the traction control systems switched on. That, though, hasn’t stopped its maker from essentially developing an entirely new engine for the 812. It might look familiar to anyone who knows the F12 but underneath the bonkers aero lurks a very different beast, indeed. It is, as you’d expect, super fast. I mean eye-wateringly, brutally, pant-wettingly, insanely fast. The nomenclature is a return to Ferrari simplicity – eight for 800 horsepower (in metric, at least), 12 for a dozen cylinders. In real money that means 789bhp, which is frankly a ludicrous reservoir for anyone to tap into, although it’s par for the course as science and engineering continue to mesh to the point that power is forced into submission by trick aerodynamics and control systems that calculate physical forces in times so short it could be measured in atoms, making adjustments to a car’s composure to keep machine, occupant and bystander in one piece. Purists might bemoan the intervention of computers and ‘electronic nannies’ but if you want these sorts of numbers then they’re entirely necessary, even for the most skilled drivers. Back when the Testarossa was launched, apart from the beleaguered Countach it had pretty much the entire supercar kingdom stitched up. Aston Martin was still hammering its cars together by hand in a big shed and Porsche’s 930 was already getting a bit long in the tooth, despite its hilarious and terrifying power delivery. But its performance envelope seems almost quaint when you consider how things have changed in the past 34 years. Its engine, a flat-12, displaced 4.9-litres and produced 390bhp, with a healthy 490Nm of twist. Compare these numbers with the 812’s 789 horses and 718Nm and you’d be forgiven for thinking the old timer would be as exciting to drive as a Ford Focus. So in the name of science we’ve gathered together a box fresh Superfast and a later version of the Testarossa, a 512 TR that’s currently being offered for sale at Dubai’s Tomini Classics, to see if the slatted classic still offers any thrills worth mentioning. Visually it’s still a sucker punch and the 512, which was introduced as a mid-life refresh of the Testarossa in 1991 is, to my eyes at least, a brilliantly executed update to a flawed design. It’s smoother round the edges, more cohesive yet still undoubtedly a Testarossa. Its production span lasted only three years, during which time 2,261 were made, before the ungainly (some might say ugly) F512 M replaced it – a final hurrah for the magnificent flat-12 mounted amidships. Since then, Ferrari’s 12-cylinder range-toppers have all featured engines up front; a return steered by former CEO, Luca di Montezemolo, who wanted to go back to the company’s grand touring (as opposed to bona fide supercar) roots. The 512 TR (yes, those letters do stand for what you think) addressed a number of the mechanical issues the Testarossa had been blighted with since birth, namely a much easier-to-use transmission with a single-plate clutch, quicker steering, better brakes and revised dampers for improved handling. Most important of all, though, was the slight repositioning of the engine and gearbox, which gave it an improved centre of gravity and generally made it more pleasant to drive. As for the engine, it too came in for some tweaks resulting in more power and torque (428bhp and 362lb ft respectively) and better performance with the zero-to-hundred sprint achievable in 4.8 seconds and a top end of 314kph, so it’s hardly a slouch even by today’s standards. The engine, as is the norm for Ferrari, looks utterly wonderful – a piece of sculptural art. The Testarossa name is literally Italian for ‘redhead’, on account of the crackle red paint applied to the twin cam covers, and it’s steeped in Ferrari folklore, having previously been given to the racing 250, which won the World Sportscar Championship in 1957. All sculptural manifolds, tumbling in unison toward the horizontally opposed cylinder heads, it’s a shame to close the slatted engine cover but the visual enticement pales into obscurity once you hear the thing fire up. Unlike those unmistakable exterior looks, the TR’s cabin, like the ’84 Testarossa’s, is conventional to the point of being a bit dull. You sit in a relatively normal position on normal looking seats. There’s a sense of space, there is excellent visibility all round, and there’s usable storage for all the paraphernalia one might need for a continental crossing. The pedals are offset, although not severely, and the orange on black instruments scream “80s Fiat” but are perfectly readable. 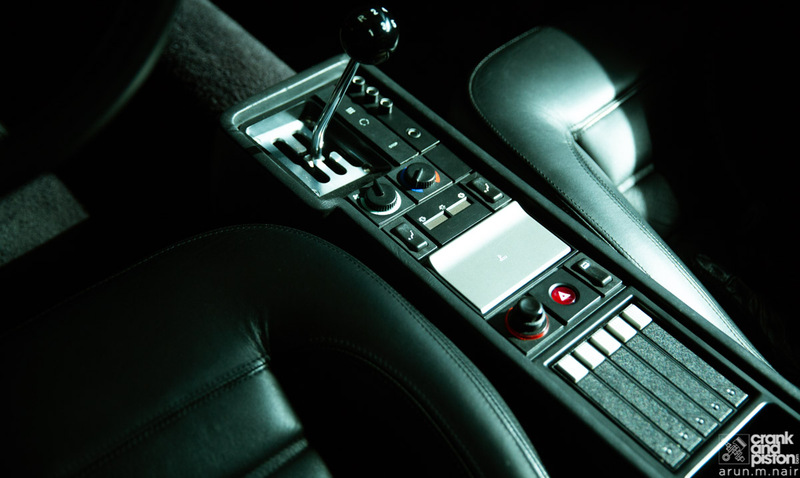 And then there’s the evocative open gate shifter with its slender lever and black knob, tilted gently towards the driver – there’s nothing quite like it. 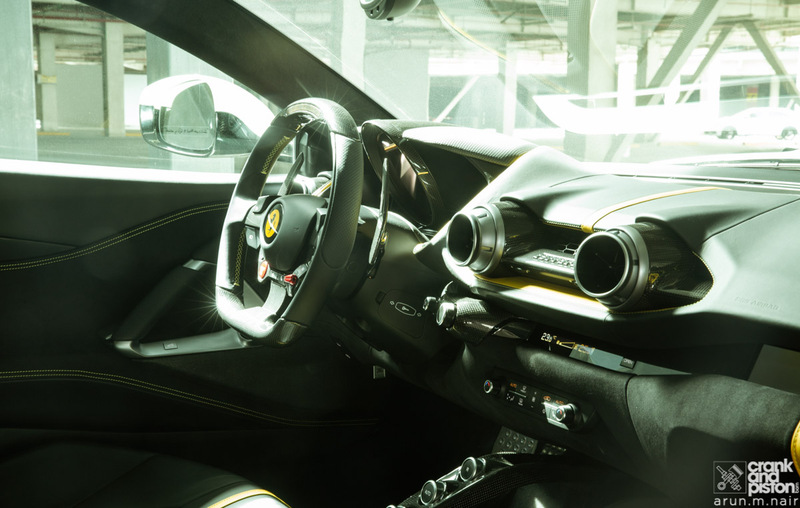 A polar opposite, the 812 Superfast takes physical complexity to absurd extremes. The F12 looked far-fetched, although there was a harmony to the swoops, scoops and ducts that peppered its bodywork, but its replacement has opinion sharply divided. Is it beautiful? Perhaps white with black wheels isn’t the best colour combination for showing off its shape but it’s hard to imagine it having the same cultural longevity that the Testarossa enjoys. From nose to tail, though, there is purposefulness – every single line serves an aerodynamic purpose with air channelled in, out, shake it all about. You can follow the trajectory with your eyes, visualising the airflow as though you were in a wind tunnel, so while it ain’t exactly pretty, it does look devastatingly efficient and the rear end is at least better resolved than the odd lines of the F12’s rump. Inside there’s drama aplenty. Where the TR is all functional minimalism, the newcomer looks fussy and over-styled in parts, and the band of contrasting yellow on the dashboard’s leather cladding is horribly reflective in the windscreen. The instruments are high tech, TFT displays that would have looked like the product of a wild, sci-fi imagination back when the Testarossa was conceived, and they’re remarkably clear, concise and configurable. You can never have too much information at your disposal in a car putting down nearly 800bhp, after all. Its engine, even before you’ve fired it up, is obviously an all-time great. 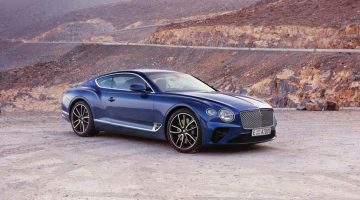 In fact it is the most powerful normally-aspirated and non-hybrid powerplant ever fitted to a production car and, flying in the face of the current trend for downsizing, actually displaces more than that in the F12, now boasting 6.5-litres of capacity, compared to 6.3. 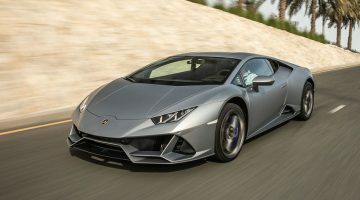 And this brings many observers to the logical conclusion that this will be the last of its kind, a final battle cry for the Ferrari V12 before forced induction and hybridisation change the brand forever. It’s sad but it’s inevitable. This particular 512 TR’s asking price of $200,000 is representative of the Testarossa’s recent increase in popularity. With nearly 10,000 of the three variants having been built, it’s one of the least rare Ferraris and until a few years ago values on the used market reflected that, with the ‘of its time’ looks having fallen out of vogue. Now examples such as this one, with fewer than 22,000km under its belt, are highly prized and sought after, which means I need to go easy on it during our shoot – at least when it comes to distance covered. As for wringing its neck, there are no restrictions whatsoever apart from those dictated by the law of the land, so the precious duo of 512 and 812 is pointed toward deserted desert roads where traffic will be thin and cameras few. First up, the Superfast – a car that so far has failed to bowl me over but that’s probably something to do with that Giallo Fly yellow icon hanging around and capturing everyone’s attention. But there’s also a tendency for cars such as this, while technically gob smacking and full of staggeringly clever engineering, to feel rather aloof and distant, as though the driver’s only involvement is operating the throttle and steering because nothing else is controllable by mortal man. When I get on the power, however, I discover that the 812 is anything but aloof and distant. Approaching a large sweeper that leads onto one of Dubai’s major arterial roads, I’m barreling along at an alarming rate of knots and decide to keep my foot planted to see just how composed all of this craziness can be when it’s called upon. The white missile’s tyres key into the tarmac with breathtaking adhesion and the car just goes, and goes, and goes. Unfazed, unflappable, unstoppable, before the road straightens and the speed piles on even more. This much firepower should not be this controllable nor exploitable, yet here it is, goading you into going ever faster, daring you to explore its stratospheric limits. The gearshifts are whipcrack quick, far faster than you or I could manage with foot and hand, and the quicker you go, the more at home it feels. When I drove an F12 at silly speeds, I didn’t feel safe for a second but this is another matter entirely. There’s four-wheel steering at play here, which tidies up the cornering behaviour and the more aggressive aero is obviously more effective at giving the car increased levels of composure. There are a great many cars out there with official performance stats that somehow fail to translate into visceral excitement behind the wheel but not so the 812. It happens to be 60kg lighter than the F12, so Ferrari’s claims should not be taken lightly – the 0-to-100kph sprint takes 2.9 seconds, 200 comes up after just 7.9 seconds and it won’t stop piling on the numbers until it’s doing 340kph. And it wipes off speed with retardation that’s just as impressive as the way it gathers pace. It’s nothing short of rabid and I find myself wondering just how far Ferrari can take this kind of motoring concept. We’ve touched on this before, but how much will really end up being too much? 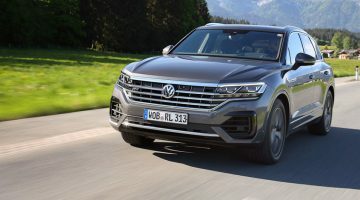 One thing’s for sure, though, and that’s the ability of a large capacity, normally aspirated engine to deliver an adrenaline shot like nothing else. If this turned out to be the last of its kind, few would deny it was a hell of a send off. And as for the immediate future of the 812, it’s assured by the fact that its production is entirely sold out for the next two years. The Testarossa was one of the first ‘mass produced’ Ferraris but fewer than 2,300 TRs were ever made, so while this region might be awash with 458s, 488s, FFs and more California’s than we know what to do with, the chances of seeing another 512 TR are so remote they’re probably not worth mentioning. It’s an arresting sight, especially when on the move, when its shape makes more sense than ever. This thing has extreme road presence. Open the driver’s door and there’s immediately a feel of fragility, the kind only a true classic car gives. You can see where the frame has been hand welded and painted over with black, there’s slight imperfection wherever you look, which is perfect in my book. Made with love by craftsmen and women on a scale that just wouldn’t make commercial sense nowadays, it’s a wonderful anachronism and draws onlookers like an alien craft might. Assyl shows me the ropes, taking me through the simple start procedure and leaves me to it. The cabin is simple, elegant, and reeks of history, while the position I need to get my feet into to operate the pedals is an evocative throwback to a time when cars were designed with wild abandon. The wheel is perhaps a tad boring to behold but it feels lovely. The flat-12 is already at optimum temperature, so starting is without effort or drama and it bursts into life with a bark that quickly settles into a smooth, creamy idle. The gearshift is a dogleg first and in operation it’s quite heavy even with the oil hot. Shifting through the gate emits a wonderful clickety-clack, the noise being part of the appeal – an audible reminder of times past. Take-off is remarkably smooth, without any of the kangaroo hops I’d been dreading, and the engine feels incredibly tractable from the lowest levels of its rev range, as though I could skip past gears two to four and just go for fifth without it complaining. But to do so would be to miss out on the performance of one of the motoring world’s truly great orchestras. Assyl, driving the 812, has disappeared towards the horizon in a blare of revs and screaming acceleration, so I have some catching up to do. As I work the TR through its gears, it still feels incredibly fast. Not Superfast, perhaps, but there’s an urgent muscularity here that I wasn’t prepared for. And the noises filling the Spartan cabin are making every tiny hair on my neck stand on end – a life defining collection of sounds all generated in unison as Maranello sprinkles its sonic magic in huge dollops. There’s no nervous skittishness, no matter how fast the TR is going – for a car bereft of spoilers and diffusers, it’s remarkably stable at very high speed. Assyl has obviously spotted me in his mirror and he slows to allow me to catch up. As I approach the 812 it’s obvious what he wants because he’s lowering his window. He wants to hear it at full attack so I drop back slightly, select third and gun it. The acceleration isn’t savage, it’s physically impactful but the noise is what makes the most lasting impression, to those outside as well as in. He catches up, motions for a repeat performance and the TR delivers another hit. He’s grinning, punching the air and I almost wish I could swap places again to hear it myself. 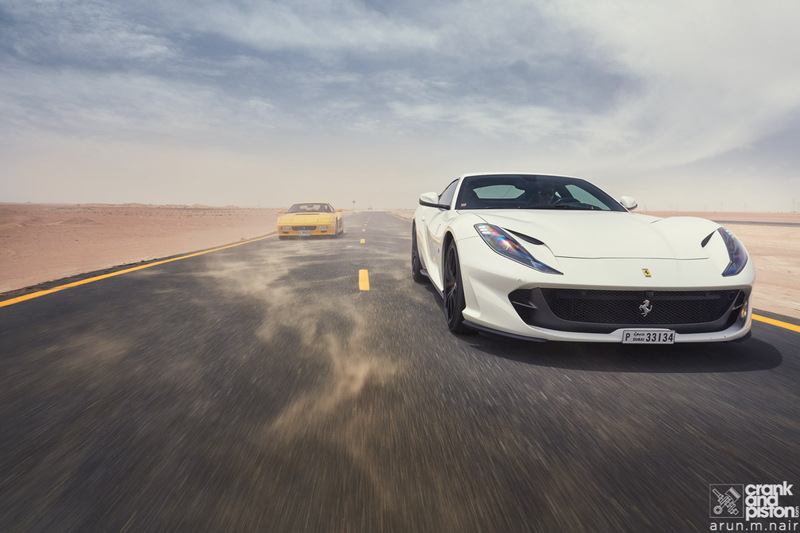 In a straight line or sweeping corner, the 812 frankly destroys the TR. Whenever he steps on it and shoots forward, it’s almost as though the TR is stationary. But then I have the wonderful task of working up through its five ratios again and the theatrics never fail to stir the emotions. It’s a truly wonderful machine, one I didn’t expect to fall so hard for in such a short space of time but the thunderbolt has hit and over the next few hours, as we continue this cat and mouse game, I have to try to banish all thoughts of handing back its key. 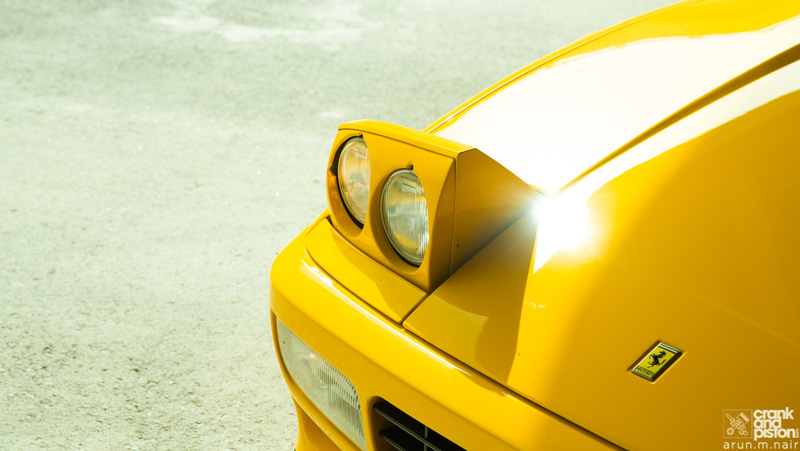 When the TR was new, its main rival was the Lamborghini Diablo – a truly wild machine that perfectly summed up the unique appeal of supercars. The Ferrari was different in nature, more relaxed and less frenetic. More GT. And that does it no disservice, for it’s a car that I have quickly discovered I could easily live with, maintenance bills notwithstanding. I couldn’t live with the 812 and that’s not the car’s fault, rather it’s my hankering for a slightly less manic, yet intoxicating experience. The Superfast does exactly what it says on the tin and there’s nothing at all wrong with that, but the Testarossa’s undeniable charms have me completely smitten. With grateful thanks to Tomini Classics, where the 512 TR is for sale.